Charles Herman Dexheimer was born on 5 April 1846 in Pennsylvania. He was baptized/christened on 24 May 1846 at St. Michael's and Zion Lutheran Church in Philadelphia, Pennsylvania. His name was recorded as Jacob Christian Hermann Dexheimer in the St. Michael & Zion churchbook at his christening. He was known as Herman Dexheimer or Charles H. Dexheimer until he was in his mid-thirties. His name was recorded as Charles D. Herman during the 1880s. He began to use the stage name Charles D. Herman about 1881, and adopted it personally sometime between the births of his sons Erle in 1887 and Rutherford in 1893. Jacob Dexheimer and Catharina Hock appeared in the US federal census of 1 June 1850 in Spring Garden, Ward 2, Philadelphia County, Pennsylvania. Other members of the household included Charles Herman Dexheimer. Jacob Dexheimer and Catharina Hock appeared in the US federal census of 1 June 1860 in Philadelphia, Pennsylvania. Other members of the household included Charles Herman Dexheimer, Edward Dexheimer. Charles Herman Dexheimer appeared in the 1868 Philadelphia, Pennsylvania, City Directory at 1220 Marshall listed as Herman Dexheimer, gilder..
Charles Herman Dexheimer appeared in the 1868 Philadelphia, Pennsylvania, City Directory listed under "Show Cards" as Dexheimer & Deuel at 601 Jayne & 30 South 6th. Charles Herman Dexheimer appeared in the 1869 Philadelphia, Pennsylvania, City Directory at 1220 Marshall listed as Herman Dexheimer (Dexheimer & Deuel) and also Dexheimer & Deuel (Herman Dexheimer & Herbert Deuel), show cards, at 601 Janye. Charles Herman Dexheimer appeared in the 1870 Philadelphia, Pennsylvania, City Directory at 1220 Marshall listed as Herman Dexheimer, show cards, at 28 South 6th & 601 Jayne. Jacob Dexheimer and Catharina Hock, appeared in the US federal census of 1 June 1870 in Philadelphia, Pennsylvania. Other members of the household included Charles Herman Dexheimer, Edward Dexheimer. He was an apprentice tailor, according to the 1870 census. Charles Herman Dexheimer appeared in the 1871 Philadelphia, Pennsylvania, City Directory at 1220 Marshall listed Herman Dexheimer, showcards, at 28 South 6th & 601 Janye. He does not appear in the 1872 directory. Charles Herman Dexheimer appeared in the 1873 Philadelphia, Pennsylvania, City Directory at 1220 Marshall listed as Herman Dexheimer, tailor. He does not appear in the 1874 directory. Charles Herman Dexheimer appeared in the 1875 Philadelphia, Pennsylvania, City Directory at 1220 Marshall listed as Herman Dexheimer Herman (J. Dexheimer & Sons), and separately as J. Dexheimer & Sons (Jacob, Herman & Edward), tailors, 117 North 9th. Charles Herman Dexheimer appeared in the 1876 Philadelphia, Pennsylvania, City Directory at 1220 Marshall with a separate listing as Dexheimer & Son (Jacob & Herman C.), tailors, 117 North 9th. Sometime probably during the mid-1870s, Dexheimer & Son Tailors was advertised as "H. C. Dexheimer, Successer to Dexheimer & Son." Brother Edward, likely widowed, had moved to New York City, and father Jacob likely was hoping to retire. Charles Herman Dexheimer appeared in the 1877 Philadelphia, Pennsylvania, City Directory at 1220 Marshall listed as Herman C. Dexheimer (J. Dexheimer & Son), with a separate listing as J. Dexheimer & Son (Jacob & Herman C.), tailors, 117 North 9th. Charles Herman Dexheimer appeared in the 1878 Philadelphia, Pennsylvania, City Directory at 987 Marshall listed as a tailor at 117 North 9th, the same location as his father Jacob. He is not listed in the 1879 directory. Jacob Dexheimer and Catherine Brester appeared in the US federal census of 1 June 1880 in Philadelphia, Pennsylvania, at 806 Poplar Street, South Side living next to son Edward.. Other members of the household included Charles Herman Dexheimer. He was an actor, according to the 1880 census. Charles Herman Dexheimer appeared in the 1881 Philadelphia, Pennsylvania, City Directory at 806 Poplar listed as Charles H. Dexheimer, actor. The following appeared on 31 January 1881 in The Philadelphia Inquirer: This noble drama [the "Huguenot Captain"], by Watts Phillips, was produced in fine style at the Eighth Street Theatre last night, and was received with signal favor by a large audience. The principal parts were well rendered by Misses Lizzie Anderson, Esther Williams, Theresa Newcomb, Messrs. Charles D. Herman, Edward Hammond and Jay Hunt. The "Huguenot Captain" will be repeated this evening and to-morrow afternoon, and is sure to have a run. The following appeared on 12 July 1881 in The Philadelphia Inquirer: The elegant new Eighth Street theatre, Eight street below Vine, Mr. Q C Brown, Jr., manager, will open August 1, 1881. The stock company for 1881-1882 will be as follows: R. Fulton Russell, leading man/ Charles Stanley, eccentric comedy, Charles D. Herman, leading juvenile, Edwin Hammond, light comedy. . . The following appeared on 25 July 1881 in The Philadelphia Inquirer: Next Monday has been selected by Manager Brown for the opening of the Eighth Street Theatre, just completed by Mr. J. McDonough at a cost of $100,000. The auditorium is neat and magnificent, and will be thoroughly ventilated and cooled by a new process, by which the rarified air is drawn down from the dome and distributed gently through the theatre. The new drop curtain and scenery has all been painted expressly, by Fetters & Son, and is fully up to the highest standards of stage art. The opening play is to be Dickens' delightful drama of "Little Emily," the characters of which will be assumed by Misses Lizzie Price, Gabriella Di Sauld, Theresa Newcomb, Esther Williams, Messrs. Fulton Russell, Charles Stanley, Charles D. Herman, Edwin Hammond, Jay Hunt and other favorites of the stock company. Popular prices will rule at the new theatre, and at the Saturday matinees school children will be admitted to seats for a dime each. The following appeared on 16 September 1881 in The Philadelphia Inquirer: To-morrow night, at the Eighth Street Theatre, a beautiful play, "The Wife's Secret," will be produced with a live cast, including Messrs. R. Fulton Russell, Charles Stanley, Charles D. Herman, Joy Hunt, G. R. Baker, Misses Lizzie Brice, Theresa Newcomb and Esther Williams. The following appeared on 18 October 1881 in The Philadelphia Inquirer: Another very full house attended the Eighth Street Theatre last night to witness "Eve, the Saleslady," which is one of the best melodramas of the period. The acting of Miss Blanche De Bar, Miss Esther Williams, Messrs. Fulton Russell, Charles Stanley, Charles D. Herman and others is excellent. The play will be repeated each evening this week, and at the matinees to morrow (Wednesday) and Saturday. The following appeared on 22 November 1881 in The Philadelphia Inquirer: "The Spanish Wife" was repeated before a fine audience at the Eighth Street Theatre last evening, and gave thorough satisfaction, It is a beautiful drama, of classic composition and modern arrangement and action. Miss Henrietta Vaders plays the title role very acceptably, and she has excellent support from Mr. Harry Thompson, Mr. Charles Stanley, Charles D. Herman, Edward Hammond and others of the stock company. The following appeared on 28 November 1881 in The Philadelphia Inquirer: On Saturday evening, at the Eighth Street Theatre, D'Ennery's exciting play, "A Celebrated Case," was produced in fine style, and admirably acted by Miss Emma Markley, Miss Theresa Newcomb, Miss Esther Williams, Messrs. Charles D. Herman, Charles Stanley, Jay Hunt and others. It will be repeated every evening and at the matinees to-day, Wednesday and Saturday, until next Saturday night, when "Pinafore" is to be revived with Miss Hattie Arnold and the stock company in the cast. The following appeared on 5 December 1881 in The Philadelphia Inquirer: Last Saturday evening "Pinafore" was revived at the Eighth Street Theatre with the most complete and appropriate stage setting yet accorded the opera. The house was literally packed with people in every part, and the piece seemed to give as much pleasure as it ever did. There were many present who had never witnessed the opera, and there were more who had heard it many times, but both classes seemed to enjoy the entertainment from beginning to end. The orchestra and chorus were both full and good, but Profs Willard and Yost have not yet put them under perfect discipline. The solo parts were all well acted, but there was a decided weakness vocally. . . . Mr. Charles Stanley and Mr. Charles D. Herman were only tolerable as the "Admiralty Lord" and the "Captain," because of their vocal shortcomings, their acting being very fair. . .
Charles Herman Dexheimer appeared in the 1882 Philadelphia, Pennsylvania, City Directory at 806 Poplar listed as Charles H. Dexheimer, actor. The following appeared on 3 January 1882 in The Philadelphia Inquirer: Mr. Tom Taylor's spirited emotional drama ["Henry Dunbar"] was satisfactorily presented at the Eighth Street Theatre last night to a very large audience. It is an interesting play, full of startling situations and pictures of real life. The cast included Mr. Charles D. Herman, Mr. Jay Hunt, Miss Theresa Newcomb, Miss Esther Williams and all the favorites of the stock company. "Henry Dunbar" will be repeated every evening this week, and at the matinees to-morrow and Saturday afternoon. The following appeared on 10 January 1882 in The Philadelphia Inquirer: "The Two Orphans" at the Eighth Street Theatre drew a large audience last evening, and D'Ennery's moving story of inhumanity was most effectively rendered by Misses Theresa Newcomb and Esther Williams, Messrs. Charles D. Herman, Jay Hunt, Ed. Hammond and others of the stock company. The "Two Orphans" every evening and at the matinees to-morrow and Saturday. Manager Q. C. Brown takes his benefit on the 16th inst., when a great bill will be offered afternoon and evening. The following appeared on 13 February 1882 in The Philadelphia Inquirer: Mr. Alexander Paul has assumed the management of the Eighth Street Theatre, and announces the benefit this afternoon and evening of State Manager Reynolds; to-morrow night, benefit of Mr. J. Rodney Keenen; Wednesday afternoon and evening, benefit of Professor J. A. Willard, leader of the orchestra; Thursday night, benefit of the Washington Fellowship; Friday, Mr. Charles D. Herman will receive his friends, and Saturday evening the popular Miss Esther Williams will take her benefit. She offers many special attractions, and appears as "Gertrude" in "Little Treasure." The following appeared on 14 February 1882 in The Philadelphia Inquirer: Benefits occupy the Eighth Street Theatre this week. To-night Mr. J. Rodney Keenan is the beneficiary; to-morrow afternoon and evening Prof. J. A. Willard, leader of the orchestra, receives his friends; Friday evening Mr. Charles D. Herman, the excellent "leading man" of the company, will take a benefit; Saturday evening Miss Esther Williams holds a levee and will present a most attractive entertainment. The following appeared on 9 May 1882 in The Philadelphia Inquirer: A very creditable presentation of Mr. Bronson Howard's popular society play ["The Banker's Daughter"] was given at Wood's Museum last evening by Collier's Combination, and the large audience present gave frequent attestations of delight and approval. Miss Louise Sylvester essayed the role of "Lillian" and gave another proof of her sterling ability and versatility. Next in order of merit was the "count de Carojac," by Mr. Clarence Montaigne, who made a most favorable impression in a different character part. It was evenly good, spirited and correct, forcible without being overdone. The other characters were in competent hands, and the performancew gave thorough satisfaction. The "Banker's Daughter" every evening and at the matinees to-morrow and Saturday. At the other matinees Miss Lillie Hinton plays "Dorothy" in "Don't Druce" most delectably, supported by Mr. Charles D. Herman and other favorites of the stock company. The following appeared on 18 September 1882 in The Philadelphia Inquirer: Tonight Mr. Bartley Campbell's new play, "The White Slave," is to be brought out at Haverly's Theatre in magnificant style by Managers Nixon & Zimmerman, under the author's supervision. It is fresh from a run of five weeks at the Fourteenth Street Theatre, New York. There will be some very handsome scenery, a chorus of colored, "jubilee" singers and an excellent cast, made up of Miss Julia Stewart, Mr. Frank Roberts, Miss Emily Baker, Mr. Charles D. Herman and other popular performers. The following appeared on 19 September 1882 in The Philadelphia Inquirer: "The Spanish Wife" was repeated before a fine audience at the Eighth Street Theatre last evening, and gave thorough satisfaction. It is a beautiful drama, of classic composition and modenr arrangement and action. Miss Henrietta Vaders plays the title role very acceptably, and she has excellent support from Mr. Harry Thompson, Mr. Charles Stanley, Charles D. Herman, Edward Hammond and others of the stock company. Charles Herman Dexheimer appeared in the 1883 Philadelphia, Pennsylvania, City Directory at 806 Poplar listed as Hermann C. Dexheimer, actor. The following appeared in an unidentified newspaper: This is an excellent likeness of Mr. Charles D. Herman, who for two seasons has been playing leading business with Bartley Campbell's White Slave company. He has several excellent offers for next season, but has not fully made up his mind which to accept. The following appeared on 31 July 1883 in The Philadelphia Inquirer: Mr. Charles D. Herman is to be leading man for John T. Raymond next season. Charles Herman Dexheimer appeared in the 1884 Philadelphia, Pennsylvania, City Directory at 806 Poplar listed as Herman Dexheimer, actor. Charles Herman Dexheimer appeared in the 1885 Philadelphia, Pennsylvania, City Directory at 803 Poplar Street listed Charles H. Dexheimer, actor. He does not reappear in the Philadelphia directory until 1890, as Charles D. Herman. The following appeared on 9 January 1886 in The New Haven Evening Register: The production of Siberia at the New Haven Opera House, last evening, was witnessed by an audience that was deservedly large. The play itself was one of Bartley Campbell's highly-colored, sensational bits of dramatic work, and depends greatly for its success on the magnitude of its stage settings. These were first-rate last night, and the show, as a whole, is one of the best of the kind that has been here this year. While the company has no great artists in its ranks, it has a few very competent actors who succeed in making the piece go for all it is worth. Miss Emma Vaders in the role of Sara, the Jewess. . . Charles D. Herman, as Jarocoff, portrayed a firstpclass villian in a clean cut and effective manner. . . . The performance was repeated to a good audience this afternoon and a crowded house ought to greet it tonight. He and Margaret Rutherford Cullen obtained a marriage license on 15 November 1886 in Orphan's Court, Philadelphia, Pennsylvania. He married Margaret Rutherford Cullen, daughter of Thomas Frankford Cullen and Elizabeth Roseberry, on 26 December 1886 in Philadelphia, Pennsylvania, neither having been married previously. The following appeared on 27 October 1889 in The Daily Inter Ocean: Miss Julia Marlowe, the charming young artiste, will make her reappearance at the Chicago Opera House to-morrow evening in the role of Rosalind. Theater-goers will remember the extraordinary impression which she created here a year ago, and how generally it was predicted that she would become th recognized interpreter of the ideal women of Shakespearean comedy. Miss Marlowe's engagement recently in Boston was rather an extraordinary one for an actress who had appeared three times in that city. The Hollis Street Theater was tested to its fullest capacity, and the admiration bestowed upon her work by the newspapers was of an uncommon character. . . . She comes surrounded by a very strong company, including the following people: Eben Plympton, Milnes Levick, Ian Robertson, Charles D. Herman, [and 12 more]. Charles Herman Dexheimer appeared in the 1890 Philadelphia, Pennsylvania, City Directory at 4116 Baring listed Charles D. Herman, actor. He did not appear in the 1891 directory. The following appeared on 23 November 1890 in The Philadelphia Inquirer: The distinguished tragedian, Frederick Warde, and the favorite actress, Mrs. D. P. Bowers, begin on Monday an engagement of two weeks at the Academy of Music under the management of Mr. Julius Mountney? The tour of the Warde-Bowers Company has been most successful financially and their performance are spoken of as being of the highest artistic order. . . . Mr. Warde believes that the long runs which are now so common and the tours in which one piece is depended on entirely are an injury to the dramatic vocation. "The giants of the profession," he says, "grew out of the practice involved in playing three or four different parts every week. That compelled the development of talent or usuppressed the incompetent, and it was upon such a platform of work that the Forrests, the Kembles, the Macreadys and the Salvinis become masters of every range of historic power and could handle with facility every detail of technical art." Following out this idea the repertoire for the Academy was arranged and it is certainly a most excellent one [paraphrase: 24 November to 6 December: "Henry VIII," "Damon and Pythias," "Othello," "Macbeth," "Virginias," "Galba, the Gladiator," "Shylock," "Katherine and Petruchio," "and "Richard III." [:TABL] Frederick Warde has this season the best company he has yet organized, as these names will indicate. Charles D. Herman, Harry Leighton, [and 19 more]. The sale of seats is being conducted by Miss Harris at 1221 Chestnut street. It is already very large, and the outlook for the entire season of two weeks is most favorable. The following appeared on 26 November 1890 in The Philadelphia Inquirer: Old theatre-goers, who fondly recall Feyrest in "Damon and Pythias," had their memories of the good and forcible acting of yore fully awakened last night at the Academy of Music, when Frederick Warde and Mrs. D. P. Bowers presented John Banim's classic play in a style that aroused the enthusiasm of the excellent audience to a very high degree. . . . Of the support the most conspicuous were Charles D. Herman, who was a manly and efficient Pythias, and Miss Catharine Coggswell, whos Calanthe was very clever indeed. To-night "Othello," with Mr. Warde as the jealous Moor and Mrs. Bowers as Emelia. The following appeared on 27 November 1890 in The Philadelphia Inquirer: Frederick Warde was seen to very decided advantage as "Othello" last night at the Academy of Music. . . . The "Iago" of Charles D. Herman lacked vigor and was scarcely villainous enough. . . . At to-day's matinee "Henry VIII;" in the evening "Macbeth." The following appeared on 4 December 1890 in The Philadelphia Inquirer: Frederick Warde and Mrs. Bowers were greeted by a large audience at the Academy of Music last evening when they appeared in the double bill, "The Merchant of Venice" and "The Taming of the Shrew." As Shylock, Mr. Warde had a part which suited him admirably and in which he well earned the plaudits. Mrs. Bowers made a very good Portia. Charles D. Herman bore the part of Bassanto well. . . . The following appeared on 6 June 1891 in The Evening World: A four-act comedy drama entitled "Meadowbrook Farm," by Robert Benedict, will have a matinee performance at the Madison Square Theatre Monday under the personal supervision of Mrs. D. P. Bowers. In the cast will be Luke Martin, Charles D. Herman, Ed Mack, Harry Leighton, Robert Benedict, Percy Sage, H. D. Byers, W. L. Payne, Mrs. Annie Sutton, Miss Leila Wolstan, Miss Evelyn Pollock, Miss Lottie Sutton, Miss Mabel Pollock and Miss Alice Magill. Charles Herman Dexheimer appeared in the 1892 Germantown, Pennsylvania, City Directory at 4914 Knox listed as Charles D. Herman, actor. The following appeared on 10 September 1892 in the [Sacramento] Themis: The following is the roster of the Warde-James company: Frederick Warde, Louis James, Edward de Lusson, B. W. Turner, Charles D. Herman, James Cooper, [and 13 more]. The following appeared on 29 September 1892 in The Knoxville Journal: The tragedians Frederick Warde and Louis James will be at Staub's theatre on October 5th in a sumptious scenic revival of Shakespeare's grand tragedy, "Julius Caesar." The case will be a strong one, including Mr. Warde as Marc Antony, Mr. James as Brutus, and Mr. Charles D. Herman, who has been Mr. Warde's leading support for several years, as Cassius. This will be the first company in Knoxville this season presenting the legitimate drama, and it should meet with great success. Mr. Warde has played several times in Knoxville to excellent audiences, and Mr. Warde is recognized generally as one of the most talented of living actors. The passing away of Laurence Barrett and the retirement of Edwin Booth leave Mr. Warde and James in possession of the tragic scene as their successors. The sale of seats opens Saturday morning at Leiber Bros.
Charles Herman Dexheimer appeared in the 1893 Germantown, Pennsylvania, City Directory at 121 Penn listed as Charles D. Herman, actor. The following appeared on 24 January 1893 in The Duluth News Tribune: The fine organization supporting the well known tragic actors Frederick Warde and Louis James will appear in a picturessque production of Henry Guy Carleton's romantic drama, The Lion's Mouth, at the Lyceum on Friday night, and at the matinee on Saturday, Mr. Warde will be seen in his original role of Rinaldo, and Mr. James will appear as the pseudo-priest Fra Angelo. . . . Othello will be given on Saturday night with Mr. Warde as Iago and Mr. James as Othello. The supporting company of thirty-one people includes Charles D. Herman, Howard Kyle. . . The following appeared on 28 January 1894 in The Knoxville Journal: The magnificent organization headed by the tragedians Frederick Warde and Louis James will appear in Sheridan Knowles' grand, heroic play, "Virginius," at Staub's theater on Saturday, February 3rd. . . . Charles D. Herman, a growing, studious and modest actor, wins sympathy and admiration by the gallant part and noble sincerity of his Icilius. . . . The following appeared on 24 June 1894 in The Philadelphia Inquirer: There was a delightfully informal time at 59 Manheim street, Germantown, Saturday night week, when Mr. and Mrs. Harry Hardy celebrated the third anniversary of their marriage. Those present besides Mr. and Mrs. Hardy included Mr. and Mrs. Charles D. Herman, Mr. and Mrs. Fred. Arnett, Mr. and Mrs. Thomas McNally, Miss Sallie Williams, Mr. and Mrs. George Barton, Mr. and Mrs. W. H. Whitaker, Mr. Charles Dooley, of Virginia, and Frank B. Fox. During the collation which was served, Mr. Arnett made a graceful speech congratulating the hosts on the auspicious event, and wishing them health and prosperity in the years to come. Mr. Charles D. Herman, of the Warde-James Company, who is summering at Germantown, graciously added to the pleasure of the evening by an artistic rendition of several pathetic old ballads. The musical programme of the evening proved a rare treat to all present. Mrs. Whittaker presided at the piano, and there were solos of real merit by Messrs. Dooley, Arnett, Herman and Fox, and by Mrs. Herman and Mrs. Arnett. The host and hostess entered fully into the spirit of the affair, which was a decided success from every point of view. 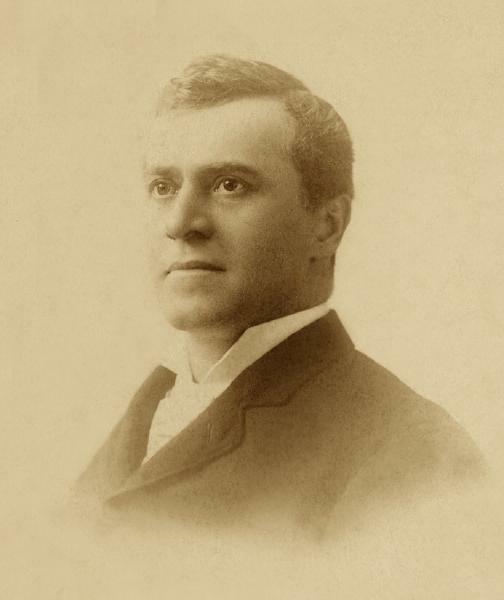 The following appeared on 13 July 1894 in The Semi-Weekly Democrat: Charles D. Herman, for several seasons Frederick Wrde's leading man and latterly of the Warde-James Company, has resigned from that organization. To give himself a respite from travel he has accepted a leading position in Walter Sanford's New York and Brooklyn stock company. The following appeared on 23 February 1895 in the Omaha Morning World-Herald: Mr. Walker Whiteside, modestly annunced not as "the eminent," but only as tragedian, appeared before a large house last night at Boyd's as the melancholy Dane. Judged by any of the canons of art, Mr. Whiteside's Hamlet is not a great performance, but it is the conscientious effort of a scholarly mind, aiding a nature fairly endowed for the tasks assigned to it by the ambition of the actor. . . . He has, unless one is far wrong, the stuff in him of which excellent actors are made and time will cure much of that which mars his work at present. The company is a fairly capable one, many of the members having served long apprenticeships in the best schools of art. Mr. Charles D. Herman, called by the sickness of Mr. Sturgeon to the part of Laertes, played that exacting role with vigor, and Mr. Vroom doubled the two kings. . . .
At the matinee this afternoon "The Merchant of Venice" will be presented with Mr. Whiteside as Shylock, and the engagement will close with "Richelieu" tonight. The following appeared on 25 April 1895 in The Minneapolis Journal: The tragedian, Frederick Warde, in a new Shakespearean revival, will be the attraction at the Metropolitan Opera House for three nights and a matinee commencing on Thursday night. Mr. Warde has been rapidly growing in artistic strength and popularity in last four years, and now he is looked upon as a leading tragedian of the American stage. Mr. Warde's engagement here will be notable for the revival of "King Lear." . . . Mr. Warde's company, this season, is exceptionally good, and includes such favorites as Charles D. Herman, Charles Sutton. . . The following appeared on 15 October 1895 in The Baltimore Sun: Mr. Frederick Warde has done the stage a good service in reviving that sterling old romantic play "The Mountebank," which was given last night at Albaugh's Lyceum Theatre as the beginning of a week of repertory performance. . . . Mr. Warde was satisfactory in the part and it must be considered as one of the best things he has done. . . . His support was good. Among the players were his son, Ernest C. Warde, who looks and acts more and more like him every year, Charles D. Herman, Miss Fanny Gillette, Miss Lucia Moore and Mrs. Isabella Waldron. The following appeared on 30 November 1895 in The Dallas Morning News: It is seldom that Dallas theater-goers have the opportunity of witnessing a performance by such an evenly balanced company as surrounds Mr. Warde in his present tour. It is a wonder therefore that the intelligent and cultured portion of the amusement public fail to throng to see him. The opera-house contained only a fair-sized audience last night and the assemblage saw with deep interest and deserving plaudits the splendid presentation of "Julius Caesar." . . . Mr. Warde is by no means all there is in the cast. He need not and does not fear comparison, and has surrounded himself with an evenly balanced company, the leading members of which share honors with the star. Mr. Charles D. Herman, as Caius Cassius, was very fine. In his impersonation there is much to admire and command. That a supporting man should rise to the requirements of the difficult role of Cassius to divide honors with such a star as Mr. Warde is a rare compliment. Yet such opinion is warranted in Mr. Herman. His impersonation last night was complete and far-reaching and was greeted at many points with frequent and earnest plaudits. Nature has been kind to Mr. Herman. Physically he is happily endowed. He has a fervid imagination, a cultivated mind and a good voice. Only words of praise are due him. . . . To-day at matinee Mr. Warde will produce "The Lion's Mouth" and for the final performance to-night "The Mountebank." The following appeared on 31 December 1895 in The Daily Inter Ocean: Playgoers of this city have reason to remember the production of Henry Guy Carlton's romantic play "The Lion's Mouth" a year ago at the Schiller, and its revival at this house Sunday night by Frederick Warde was an event of artistic interest. . . . Mr. Warde appeared to advantage in his romantic creation of Paul diNovara, the brave young exile, the hero of the play, carrying it with a fire of fancy and finish of convincing artistic temperament. Charlees D. Herman gave a new conception to the fierce cunning of Fra Angelo and made the false friar a most malignant and potential factor in this vivid picture. . . . The performance of "Julius Caesar" was enjoyed by a large audience and Shakespeare's heoric masterpiece has seldom of late been given a more complete presentation as to acting, scenery, and details. . . . Mr. Warde's Brutus is admirable. . . . The Cassius of Charles D. Herman was reposeful, dignified, and meritorious and his well modulated, rich voice was a continual enjoyment, although one thinks that Mr. Herman is better adapted in physique and method to Brutus. . . . The following appeared on 19 July 1896 in The Sioux City Journal: Charles D. Herman and Lucia Moore were engaged last week by Walker Whiteside for his company. Mr. Herman will fill the position of leading man, and Miss Moore will be entrusted with the roles of Ophelia, Julie, Desdemonia [sic] and Portia. These engagements make the company almost complete. The following appeared on 5 November 1896 in the Omaha Morning World-Herald: The appearance of Walker Whiteside and his remarkably strong company of players in Paul Kester and Walker Whiteside's dramatization of Bulwer-Lytton's novel, "Eugene Aram," at the Creighton for four nights commencing Sunday, November 8, will be one of those gala events of the amusement season which do not occur frequently and which always occasion much public interest. Mr. Whiteside has done everything in his power to achieve success in his undertaking, notably in the selection of his cast and in the scenic enviornment of the piece. With such capable players in the leading parts as Lucia Moore, Josephine Morse, Dorothy Harper, Charles D. Herman, Herbert Pattee, John M. Sturgeon, John M. Sainpolis and John L. Saphore and a new equipment of scenery, there can be no doubt of the high character of the production. "Hamlet," "Othello" and "The Merchant of Venice" will also be presented during the engagement. The following appeared on 5 December 1896 in The Duluth News Tribune: It matters little, to our mind, whether the Hamlet of Mr. Walker Whiteside resembles or differs from that put forward by Booth, or Barret, or Fechter, or Forrest, and surrounded with Trandition's halo by the reminiscent old playgoer or the tedious critics. Who except these good souls lays much stress upon tradition? Even though Mr. Whiteside last evening smashed every tradition associated with the role of Hamlet, he would still remain a gifted actor, and as such should be grappled to the public's soul "with hopes of steel." But Mr. Whiteside deals gently with tradition, although of course his conception of the character differs from that of other artists as one star differs fron another star in glory. His reflection of the misery-laden prince of Denmark is artistic, human, natural, and absorbingly interesting. . . .
Mr. Whiteside is fortunate in his support. Miss Lucia Moore is an exceptionally good Ophelia, Charles D. Herman a strong Claudius. . . This afternoon Mr. Whiteside will be seen as Shylock in "The Merchant of Venice," and in the evening as Iago in "Othello." The artistic steps between these roles are wide. The following appeared on 6 December 1896 in The Duluth Sunday News Tribune: "Othello, the Moor of Venice," that most cheerful drama of domestic felicity, was the bill at the Lyceum last evening, with Mr. Walker Whiteside as the accomplished villain. A rather slender audience saw the play, but it was appreciateive. . . . Of Mr. Whiteside's Iago only praise can be spoken. It was a masterly and finished effort. Surely this brilliant young actor has the vital spark. He is not of the many of talent, but of the few of genius. Charles D. Herman was the Othello. He has flashes of excellence in the role, notably in his address to the duke and his scene with Desdemona previous to her asphyxiation. Miss Lucia Moore made a lovely Desdemona, and Josephine Morse a very good Emilia. The remainder of the cast was so-so. The following appeared on 16 December 1896 in The Minneapolis Journal: History tells two stories about Richelieu. One is that of a dark and sinister character, lustful of power and unscrupulus as to the means he employed to retain it, crafty, diplomatic, resourceful, cruel. The other is that of a patriot who for love of France fought a prodigious battle against the corruption and surviving feudalism of his time; who, to accomplish the regeneration of his country, did not scruple to use the very weapons of intrigue and espionage which he found ready to his hand; who in his own devious and Machiavellian ways did justice to his country and to her citizens; and who thus contributed immeasurably to the cause of civilization. . . . The picture of the great cardinal which Walker Whiteside presented at the Metropolitan last night was remarkable for three things--its fidelity, its clearness and its power. As the French say, Mr. Whiteside has "arrived." . . . The company deepened the good impression made in "Hamlet." . . . Charles D. Herman as the Iago-like Baradas handled the somewhat difficult role admirably. . . . The following appeared on 7 September 1898 in The San Jose Evening News: This evening at the Auditorium Modjeska, supported by a strong company, will present "Mary Stuart" giving her own artistic conception of the character of the unhappy queen. Miss Anna Procter will play the part of Elizabeth, Charles D. Herman, the Earl of Leicester; Lester Lonagan, Mortimer; John A. Lane, Burleigh, the rest of the parts being in competent hands. A matinee will be given Saturday afternoon. The prices being 25c, 50c, 75c and $1. Prices for the evening performances from 25c to $1.50. The following appeared on 16 December 1898 in The Baltimore Sun: If Lady Macbeth were a character merely detestable, as Dr. Johnson described her, or a mere murderess or ogre, as she is popularly regarded, it would not require genius to portray her on the stage. . . . Since Jane Siddons there have been few actresses who have been able to do justice to theis great character, and Madame Jodjeska, who acted the play at Ford's last night, may be regarded as one of them. . . . Mr. Charles D. Herman took the part of Macbeth acceptably to the audience. He has a fine voice, but declaims too much. The play is well put on the stage and deserved a better audience. The following appeared on 13 April 1899 in The Sioux City Journal: The taste of Sioux City theatergoers seems to be for plays lighter than tragedy and there was only a scatting audience at the Grand opera house last night to see Modjeska as Lady Macbeth in Shakespeare's terrible drama. The hot day no doubt made a difference, too. /P/ Modjeska is one of the few remaining exponents now on the American stage of the old tragic school. She is advancing in years, and this certainly is shown in her stage presence and in the portrayal of the roles she assumes. Still, the fact remains she has been a great actress, and is still very great for that matter, but not what she used to be. The audience at the theater last night did not display a great deal of enthusiasm. The people were interested, but the majority was disappointed in the general presentation of "Macbeth," and the actress' work as Lady Macbeth. At times it was with difficulty that she could be heard, but occasionally the old fire and pathos of the woman became manifest and she was generously applauded. Modjeska was last in Sioux City in the fall of 1897, but was unable to appear owing to sickness. Her place was then filled by another member of the company, and Joseph Haworth carried off the honors as Macbeth. Charles D. Herman took the part of Macbeth last night, and acted well. His voice is a trifle harsh, but he does good work and has a good stage presence. The other members of the company were good in their respective parts. . . . The following appeared on 16 April 1899 in the Omaha Sunday World-Herald: The admirers of Madame Helene Modjeska find in her impersonation of Mary Stuart phases of emotion so true to the historical impersonation of the Scottish queen that they are prone to regard it as almost a supernatural opportunity to delve into the actual turmoil of the days of the unhappy Queen Mary and the degree of sympathy betokened by the audience in her unjust fate as realisitcally depicted by Modjeska at yesterday's matinee at Boyd's theater was a flattering tribute to the genius of the Polish actress. Modjeska as Lady Macbeth scores a triumph distinct and unequalled. She possesses the temperament to truthfully portray Shakespeare's diabolical character, and her superb company of players contribute largely to her success. Mr. Charles D. Herman as Macbeth rivals the star in the estimation of capabilities in such a gruesome tragedy. That the opportunity of enjoying three performances of the best of legitimate plays was taken complete advantage of by local theater-goers refutes the pessimistic theory of the decline of tragedy. The following appeared on 13 August 1899 in The Anaconda Standard: John C. Fisher, manager for Madame Modjeska, announces that the elaborate productions which he had in view for next season are now well under way. Thomas Moses, the well-known scenic artist, who was able to undertake the contract by the courtesy of Jacob Litt, with two assistant artists, is now at work at Mr. Fisher's theater in San Diego where the productions are being built. The scenic outfit for "Macbeth," "Mary Stuart," and "Much Ado," will be new and complete in every way. The feature of Modjeska's repertoire next season, and, for which the most elaborate preparations are being made, will be her new play of Marie Antoinette. In this direction, Mr. Moses has been given carte blanche, and if all accounts prove true it will almost compare from a production standpoint at least with Henry Irving's much talked of success, "Robespierre." . . . John E. Kellard, who is to be featured as Modjeska's leading support next season, is now in Europe for pleasure and study. . . Charles D. Herman, who earned so much favorable comment with Mojeska [sic] last season will continue as a member of the company, as also will George Spencer, Wadsworth Harris and Lynn Pratt. In the aggregate Mr. Fisher should be able to boast next season as exploiting one of the most talented and best-equipped organizations that the legitimate drama has known in this country in many years. The tour will embrace all the principal cities, including Butte, San Francisco, Chicago and a long engagement in New York. The following appeared on 15 September 1899 in The Baltimore Sun: Frederick Warde's presentation of "Virginius," attracted a large audience to Ford's Opera House last night. Mr. Warde's portrayal of the Roman citizen, the adored and adoring father, the father crazed by anguish, was strong, tender, despairing, agonized in turn. Between Mr. Warde, as Virginius, and Mrs. Minnie Fittell Brune, who played the part of Virginia, there seemed to exist the most cordial sympathy. . . . Her husband, Mr. Clarence M. Brune, is also a member of Mr. Warde's company. Other members of the cast last night were Messrts. Charles D. Herman, Frank Hennig. . . The following appeared on 22 October 1899 in The Dallas Morning News: The next attraction at the opera-house will be Mr. Frederick Warde Wednesday and Thursday, with Thursday matinee. The announcement of the coming of Mr. Warde and his company of players will be welcome news to the theater-going readers. Mr. Warde is this season surrounded by a company of unusual excellence and composed of such well known artists as Mrs. Clarence M. Brune, for several years with the Frohman company; Charles D. Herman, formerly leading man with Modjeska. . . Mr. Frederick Warde, supported by an able company, begane a week's engagement at the Tulane theater [New Orleans] last night under the most favorable auspices. . . . Henry Guy Carleton's Venetian love story "The Lion's Mouth," was the medium through which the talents of the company were displayed the opening night, and the wisdom of the sleection was shown decisively before the evening was over. . . . Charles D. Herman, as Fra Angelo, chief inquisitor, formerly Francesco, pictured the wiley, bloodstained and revengeful priest with great fidelity. When he is brought to bay and sees his own doom written he is especially strong. . . . The following appeared on 24 December 1899 in The Anaconda Standard: Frederick Warde, who is again presenting his old and favorite play, "The Lion's Mouth," will be at the Grand early in February. Mr. Warde is this season supported by an exceptionally strong company, including Minnie Tittell Brune, Charles D. Herman, and nine others named. Other plays in Mr. Ward's repertoire are "Virginius." "Romeo and Juliet" and "The Merchant of Venice." The following appeared on 1 March 1900 in The Dallas Morning News: At matinee today the eminent actor Mr. Frederick Warde will present "In the Lion's Mouth," and tonight "The Duke's Jester." Year after year for the past two decades Dallas has been visited by this eminent actor. Since his first appearance in this city htere has been a constant improvement in the general excellence of his entertainment, brought about by his principled progress. During the early stages of his starring tours Mr. Warde traveled practically alone, and during this time established himself as one of the most favored actors in America. But Warde is not a man to be satisfied with personal laurels. Probably no other actor has done so much for the advancement of his profession as has this scholar. Years ago he foresaw a time when the public would not be content to patronize a star alone and sit patiently through the ranting of an inferior company. Gradually he associated himself with companies and combinations which in their day stood in the first rank. It is said he is associated with what is considered to be the strongest combination of actors got together since the days of the famous Booth and Barrett combination. Nine members of his company have either been stars themselves or soon contemplate taking the hazardous step. Naturally, first among these are Mr. and Mrs. Clarence M. Brune, with whom Mr. Warde is starring this season. Minnie Titall Brune is among the foremost actresses of today and has won unprecedented praise for her portrayal of both tragic and comedy roles. Mr. Brune is better known farther east of here, where for several years he toured alone. Charles D. Herman was seen here last season as the leading man for Mme. Modjeska. . . .
Charles Herman Dexheimer and Margaret Rutherford Cullen appeared in the US federal census of 1 June 1900 in Camden, Camden County, New Jersey, at 227 Cooper. Other members of the household included Erle Cullen Herman and Rutherford Herman. Also in the household is servant Betty Banks, age 40. He was an actor, according to the 1900 census. The following appeared on 27 November 1900 in The Fort Worth Register: At the head of a company of twenty people Mr. Robert Downing comes to Greenwall's opera house next Wednesday night, November 28, presenting his latest success, "Richard the Lion-Hearted." The play has met with instantaneous success wherever produced this season, and is so constructed with comedy, romance and tragedy as to please the most fastidious. Miss Alberta Converse, a young and talented woman, who will essay the leading feminine role of Princess Berengaria, has met with unanimous approval of the press, which has gone so far as to prophesy for her a career equally as successful as Mary Anderson's. Dr. Charles D. Herman, the leading man of the company, is well known to theater-goers, having long been identified with classic productions with such people as Frederick Warde and Madam Modjeska. The balance of the company are equally well cast, and the scenery and costumes are historically correct in every detail. . . . The following appeared on 8 December 1901 in The Anaconda Standard: Frederick Warde will begin his annual Butte engagement in Butte at Sutton's new theater this evening with "Belphegor, the Mountebank," which play he has this season made a prominent feabure of his repertoire. . . .
Mr. Warde this season unquestionably has the strongest supporting company that has ever surrounded him. It includes Barry Johnstone, last season leading man for Mme. Modjeska; Charles D. Herman, Miss Antoinette Ashton, formerly leading lady for James O'Neill; Virginia Drew Trescott, May Warde, the tragedian's talented daughter. . . . Charles D. Herman is an actor of rare experience and quality. His achievements include his performance of Macbeth with Mme. Modjeska, also his excellent interpretations several seasons ago, when, as the leading support of the Frederick Warde-Louis James company, he appeared as Cassius in "Julius Caesar," Angelo in "The Lion's Mouth," Paola in "Francesca da Rimini," Edmund in "King Lear" and other important roles. . . . The following appeared on 23 July 1902 in the Los Angeles Times: Another company which has been secured is an old favorite here, coming under a new star. It will be the Frederick Warde company supporting Charles D. Herman in the old Warde repertoire. It will come for two weeks in March. Mr. Warde's son is the manager of the new enterprise, and has secured all of his father's scenery, and has engaged all of his father's company, headed by Barry Johnstone to support Mr. Herman, who is one of the finest Shakespearian actors now before the public. The repertoire will include "Gastan Caudal," "The Lion's Mouth," "Macbeth," "Romeo and Juliet" and "Othello." The following appeared on 2 September 1902 in the Los Angeles Times: The regular season at the Los Angeles Theater will open next mOnday with the new classic and romantic star, Charles D. Herman, supported by the Frederick Warde Company, in scenic productions of "The Lion's Mouth," "Gaston Cadoul," "Macbeth," "Othello" and "Romeo and Juliet." Manager Arthur Warde has engaged the majority of the original Frederick Warde Company to support Mr. Herman. Among the players are Harry C. Barton, John E. Hynes, Francis McGinn, H. M. O'Connor, Frank Walsh, John Morrissey and Miss Aileen Bertelle. Among some of the new faces will be Anna Roberts, a Los Angeles girl; Mary Holmes, Alice Saunders, Grant Churchill, Frederic Harrington, Pryce Mackaye, Dan Krouse and Lawrence Hanley. " The engagement is for two weeks. The following appeared on 7 September 1902 in the Los Angeles Times: Charles D. Herman, known here as the leading man for Frederick Warde, Louis James and Mme. Modjeska, has become a star with his own company, and will make his first appearance in his new capacity tomorrow night at the Los Angeles Theater. Mr. Herman has the old Frederick Warde company, with the scenery used by Mr. Warde, as Warde and James are to appear this year in a big production of "The Tempest." When Mr. Warde was told by his son that Mr. Herman would become a star under his son's management, he said: "I know of no actor so well equipped, or so much entitled to become a successful star. He has served a long apprenticeship as leading with Mme. Modjeska, Louis James and myself, and has won the admiration of all of us for his ability, his sincerity and unfailing earnestness." The company will be headed by Lawrence Hanley. . . . The following appeared on 18 September 1902 in the Los Angeles Times: Actor Hanley Was Drunk. Couldn't Play Romeo, so Performance Was Postponed. Arthur Warde, manager of the Charles D. Herman Company, at the Los Angeles Theater, stepped before the curtain last night at 8:30 o'clock and said: "Owing to the sudden illness of one of our actors the performance will have to be postponed. I am very sorry that we have called you here for so little purpose. You can exchange your checks for any other night of this week, or your money will be refunded at the box office." There were about 500 people present. They had come to see "Romeo and Juliet," with Charles D. Herman as Mercutio, Lawrence Hanley as Romeo, and Anna Roberts as Juliet. Behind the scenes everything was in preparation for the raising of the first curtain. Mr. Herman and his company were in their makeup and the stage was set. It was nearly 8 o'clock when Mr. Hanley staggered in, but he was unable to take off his street dress in preparation for the clothes of romeo. He was overcome with liquor and morphine. As there was no understudy prepared Mr. Warde made his announcement. He said that he would never again permit Mr. Hanley to play in any company with which he was connected. Tonight "Macbeth" will be the bill with Mr. Herman as "Macbeth." This is in place of "The Lion's Mouth," which had been advertised. Tomorrow and Saturday nights "Othello" will be the bill and on Saturday afternoon Mr. Herman will appear as Romeo. The following appeared on 26 September 1902 in The Daily Californian: "Macbeth" one of the most popular and interesting of Shakespeare's tragedies will be presented by Charles D. Herman and the Warde Company during their engagement at the opera House, Monday, September 29th. Mr. Herman will appear as Macbeth, Mr. Francis McGinn as Macduff, Mr. H. M. O'connor as Ross, Mr. Francis McGinn as Banquo, Mr. H C. Barton as Malcolm, Miss Ana Roberts as Lady Macbeth and Miss Aileen Bertelle as Fleance. The witches who play such an important part in the development of the drama are assured by Mr. John E. Hynes, Miss Alice Saunders and Miss Mary Holmes. The other characters will be in equally capable hands. Mr. Herman carries a magnificent scenic production of the play which will be complete in every detail. Tuesday night, "Othello." "The Frederick Warde Dramatic Company, one of the best on the stage, headed by Charles D. Herman, the well-known tragedian, and such accomplished artists as Francis McCann, Pryse Mackaye, H. M. O'Connor, Anna Roberts, H. C. Barton and Aileen Bertelle, with excellent support opened at the Clunie theater last night to only half an audience in the romantic and poetic Venetian drama, 'The Lion's Mouth.' It was staged effectively, and upon the rising of the curtain upon the moonlight garden scene with a gay company in the 'Minuet of the Kiss,' there was paid the compliment of a round of applause for the fine scenic effect. Mr. Herman has appeared here in nothing more effectively than in the role of Rinaldo. It admirably fits him and gave fine opportunity in heroic and strongly emotional lines. His reception was cordial and a tribute to merit. Mr. McCann did equally as artistic work as Fra Angelo, which character he created. Miss Roberts, not seen here before is a graceful, handsome young woman, with a voice of superior expression and carrying power. As Leonora her role was wholly emotional, but not of a character to develop the strength which she unquestionably possesses. Miss Bertelle, who has played here several times, is more vivacious, piquant and provokingly merry than ever. She is among the cleverest of ingenues. With Mr. Hynes in a capital comedy role, the two furnished the wit and humor of the evening. The success of the company was unmistakable, and the adequacy of the units of the troupe to the repertoire billed cannot be justly questioned. Whoever attends upon its work during the engagement will be rewarded by being witness to performances which go far toward satisfying the craving for completeness in artistic effect, which is experienced by all intelligent playgoers." The following appeared on 29 October 1902 in the Oakland Tribune: Another crowded house greeted Charles D. Herman and the Warde Company at the Macdonough Theater last evening. "Othello" was the bill with Mr. Herman in the title roll, Francis McGinn as Iago and Miss Anna Robero as Desdemona. The play was cleverly produced and Mr. Herman again proved himself an actor of rare ability. The support given him was excellent. Tonight Mr. Herman and the Warde Company will produce "Romeo and Juliet," tomorrow night, "Gaston Dadol" and on Friday night the engagement will close with a production of Macbeth. The following appeared on 2 November 1902 in The Seattle Sunday Times: The Warde Dramatic Company, headed by Charles D. Herman, the well known tragedian, will open a two weeks' engagement at the Seattle Theatre on the night of November 23. The company has been playing in California so far this season, and the papers of San Francisoc, Los Angeles and Sacramento have been full of favorable comments on their work. A Sacramento apper recently said: "A performance by the Warde Dramatic Company goes far toward satisfying the craving for completeness in artistic effect." The following appeared on 25 December 1902 in The Anaconda Standard: Despite the fact that it was the night before Christmas, usually considered the worst night in the theatrical season, a fair-sized audience witnessed the second performance of "Othelly" by Charles D. Herman and the Warde company last night and applauded the splendid efforts of the star and company. The last performances of "Othello" will be given on Sunday night next. For the matinee this afternoon the last performance of "The Lion's Mouth" will be given and the indications point to a big holiday matinee. To-night Shakespeare's ever-popular tragedy, "Romeo and Juliet." will be presented, with Mr. Herman as Romeo, Harry O'Connor as Mercutio, Francis McGwin as Friar Lawrence, Miss Roberts as Juliet, Miss Saunders as the nurse and the full strength of the company. "Macbeth" will be the bill Friday and Saturday nights. This should be a complete success, as Mr. Herman made a big impression as the ambitious Scot with Mme. Modjeska some years ago. The following appeared on 28 January 1903 in The New York Times: (Westifeld, N.J., Jan. 27) Twenty-four persons were killed and a score were injured in a rear-end collision on the Central Railroad of New Jersey tracks near Graceland station, this evening. Many persons are missing, but it is impossible to give any authentic list of the missing. It would consist of scores of men and women who are now at home safely. The Royal Blue Line express, which left Jersey City at 6 o'clock, crashed into a combination local and express train, which had started from the terminus fifteen minutes in advance. . . .
And published on the following day in The Times : (Philadelphia, Jan. 28) Several Philadelphians who were passengers on the express train arrived here this morning and related their experiences. . . . .
"The accident occurred at 6:35 o'clock. I know this definitely because I had just looked at my watch an instant before the shock came. I was sitting in the rear seat of the last parlor car writing a letter. The force of the collision threw me the length of the car, and I fell into a tangled mass of passengers. At least half a dozen men were on top of me. "We promptly organized a relief corps and started to do what we could for the injured. The locomotive had completely telescoped the three rear cars of the Easton train. The wreckage was forced high up into the air, and this fact led to what was undoubtedly the most horrible sight of the collision. "Three persons inextricably wedged in the burning wood slowly burned to death, while the other passengers, looking on in horrified silence, were unable to render them any aid. We then quickly tore the seats from the cars, piled them up against the wreckage, and strove to rescue all of the living we could. Several of the escapes were remarkable. Two men were sitting together in the same seat. One escaped with only a slight cut on the ear; the other was terrible mangled and cannot live. A husband and wife, also sitting together, were thrown high in the air and lighted on top of a car. When we reached them the woman was holding up the man. She was uninjured, but he was in a very bad way, and I did not think he could pull through. "There were women and girls in the telescoped cars, and we gave them our first attention. We carried them gently up the bank, spread overcoats to protect them from the snow, and secured for them the attention of the few doctors who happened to be present. "In the excitement it was difficult to ascertain the cause of the catastrophe, but the general feeling seemed to be that the engineer of our train was responsible. The Easton train, which was loaded with passengers returning from business, was for some unknown reason flagged to stop three-quarters of a mile outside of Westfield. Our engineer must have disregarded the red lights which should have been his signal that the track was not clear. The fireman was terribly torn about the stomach. He was found sitting on the bank, but was unable to talk." "After removing all those we could reach from the wreckage, we carried them to near-by houses. Local physicians from Westfield arrived on the scene early, but it was an hour before a relief train arrived from Plainfield with doctors and nurses. Most of the injured were taken to Plainfield. I saw three bodies in the kitchen of a house near by. They were men. Then I saw a woman's body outside terribly mutilated. Over beside the tracks lay three or four bodies of men. Altogether I counted seven dead. I saw a man's body hanging over the bell of the express engine, but I don't know whether he was dead or alive." The following appeared on 27 February 1903 in the Fort Worth Telegram: The announcement that the beautiful play of "Romeo and Juliet" is to be produced during the Warde company's engagement at Greenwall's opera-house Tuesday, Wednesday and Saturday nights and Wednesday and Saturday matinees, March 3, 4, 7, will doubtless be gladly received by all lovers of Shakespeare. The play is not often attempted here for lack of actors competent to fill the roles. But Charles D. Herman, whose reputation as an actor of Shakespeare's plays is already enviable, has many times assumed the part of Romeo and given delight by his intelligent reading and manly interpretation of a not very manly part. Miss Anna Roberts, whose personal charms make every part she assumes attractive, renders the part of Juliet with Italian warmth and sweetness, and fulfills all the delightful requirements of that lovely character. The play does not overtax the ability of the Warde company, and in the part of Mercutio John Tyrrel finds a part to which nature seems to have adapted him. The company has a complete scene production and its costumes show that no expense has been spared to make them appropriate. The prices of admission are low and tempting. The repertoire during the engagement here will be: Tuesday night, "Othello," Wednesday matinee, "The Lion's Mouth," Wednesday night, "MacBeth," Saturday matinee, "Romeo and Juliet," and Saturday night, "A Battle of Hearts." The following appeared on 6 March 1903 in the Fort Worth Telegram: The most interesting event of the near future in theatrical circles will be the appearance of the sterling actor, Charles D. Herman, as a star, supported by the famous Warde company in a round of romantic and Shakespearean plays. Mr. Herman has waited long to make his debut as a star and there is no question of his fitness. His achievements have attracted the interest and admiration of both press and public for the past decade and he has the well wishes of everyone who has seen him. Charles D. Herman commenced his stage career in 1882 at Colonel Wood's museum in Philadelphia, Pa. At that time some of his associates were Thomas Keene, Charles Thorne, Lillie Houton and other stage celebrities. For two years he continued in stock work and then spent a part of a season as leading support to Mme. Janauschek. After this for two seasons he appeared in melodrama, creating important roles in "The White Slave" and "Siberia." In 1888 he became leading man with Frederick Warde, with whom he has been closely associated off and on for years. Among other engagements that brought him prominently before the public were those with Robert Downing, Mme. Modjeska, Julia Marlowe, Robert Mantell and the celebrated Warde-James combination. The Warde company comes to Greenwall's opera-house for return date Saturday matinee and night, March 7, presenting at the matinee "Romeo and Juliet" and night "A Battle of Hearts." The following appeared on 13 April 1903 in the Decatur Daily Review: (Council Bluffs, Ia., April 13) As a result of a crusade by ministers and the Women's Christian Temperance union Charles D. Herman and four members of his company were arrested at the close of a performance of Romeo and Juliet last night, charged with violating the Sabbath. The following appeared on 15 November 1903 in The Seattle Sunday Times: Arthur B. Warde, who last season cleared $186,953.99 in managing Charles D. Herman in Shakespearean productions, is now business manager of Florence Roberts and will shortly make his Seattle debut in that capacity. The following appeared on 4 February 1904 in The Anaconda Standard: When Frederick Warde made the announcement in Butte a year ago that he was then about to sever his connections with the Wagenhals and Kemper company there were many of his friends and admirers who questioned the wisdom of the step and Mr. Warde's judgment, but no one withheld their best wishes for his future success. It will delight them to know that Mr. Warde's promise to bring out this season one of the strongest organizations of players ever seen in the West has been made good, and that the great actor has been meeting with the success his friends have hoped for. With Mr. Warde are Mr. and Mrs. Clarence M. Brune, Charles D. Herman, who was last season leading man for Madam Modjeska; Frank Hennig, recently the chief support for Keene; Alexander McKenzie, formerly leading man for Downing; John Sturgeon, leading man for Whiteside, and Harry C. Barton and Charles H. Clarke of Booth and Barrett fame. The following appeared on 3 April 1904 in The Boston Journal: Manager Schoeffel has strengthened Miss Nance O'Neil's company for the production of "Macbeth," "Elizabeth" and other important dramas by the engagement of Charles D. Herman, late leading man with Mme. Modjeska; Frank Sheridan, who appeared in "Ulysis," under the Frohman management, and William Kittredge, a member of a prominent Boston family, who would be better known to American playgoers had he not been acting of late years in London. The following appeared on circa 21 October 1905 in an unknown newspaper: Announcement was made yesterday at the officers of the Actors' Society, that Mme. Modjeska had selected Charles D. Herman as leading man for her coming tour. Mr. Herman is one of the oldest of present day Shakespearian actors, and Mme. Modjeska has had him in mind for some time. He was last with Melbourne McDowell in a Sardou repertoire. Arrangements were made with him by telegraph last week, and he has closed his engagement Saturday night. He is especially engaged for the role of Macbeth. The following appeared on 10 January 1906 in the Olympia Daily Recorder: Madame Modjeska, on this, her farewell tour after a life devoted to the highest work and conceptions of the stage, as seen at the Olympia theater last evening is still the Modjeska of old, the very living, breathing character and genius of Shakespeare created as Lady Macbeth. A weakening of the voice recalls the time when her lines rang out with something more of fire and carrying power, but there is still that complete interpretation of the part, that merging of individuality into the character portrayed, accompanied by all the arts of expression and make the dramatic force that go to make up the consummate art of the actor. Modjeska carried the sympathy as well as the admiration of the big audience with her completely, there being ever present the thought that this was the last time this last one of the old school would evoke for them the master characters of the drama, and it was with a sigh of regret that they watched her parted from their sight forever by the final curtain. It was a fine audience that greeted Modjeska in "Macbeth," at the Olympia theater last evening. Their enthusiasm was as much a personal tribute to the actress herself as to the fine quality of her acting. Nor were they niggardly with the other strong characters presented, for Charles D. Herman as Macbeth; William Hazleton as Macduff and Edwin Caldwell as Malcolm were all given generous rounds of applause. Mr. Herman was especially strong as Macbeth, and with almost any other actress as Lady Macbeth, will easily have been the star. The play was handsomely and effectively staged. Madame Modjeska's Lady Macbeth will be remembered as perhaps the greatest character of the stage by everyone who has witnessed her performance, and Modjeska, upon her permanent retirement, will leave an imperishable name in the annals of dramatic art. The following appeared on 6 March 1906 in The Dallas Morning News: Mme. Helena Modjeska in the title role of Schiller's sombre tragedy of "Mary Stuart" was seen at the Dallas Opera House last night by an audience which, in point of numbers, did not do justice to the eminent tragedienne's fame and abilities. Mme. Modjeska is no longer young, but the spark of genius which has illumined the drama of three continents for more than three decades is not by any means extinguished--indeed barely diminished. . . . The cast: . . . William Cecil....Charles D. Herman. . . . The following appeared on 3 April 1906 in The Macon Daily Telegraph: The production of "Macbeth" by Mme. Modjeska and company at the Grand last night deserved in every respect the brilliant audience with which it was greeted. . . . For many years Modjeska has illuminated the American boards. During the period of her stage life, she has held her rank along with those actresses of her time who have maintained the higher dramatic art. She is the one foreign actress who has sought to undertake the presentation of Shakespeare's female roles generally, proving herself to have a thorough comprehension of the master. . . . Mme. Modjeska was fortunate in having so competent an actor and so careful a Shakespeaean student as Charles D. Herman for her Macbeth. He forebore extravagance, but was virile, intense and altogether sufficient. His reading was wonderfully good and showed that he was a master of elocution. His lines were spoken with due feeling, but without loss of naturalness. He held in mind the interpretations of predecessors, the traditions of the part were duly conserved, but he limned the part in his own way and most effectively. . . . The following appeared on 29 December 1906 in The Lexington Herald: Madame Modjeska as "Lady Macbeth," in the Shakespeare tragedy, made her farewell appearance to Lexington at the opera house last night. The announcement that the engagement had been canceled, and the bad weather helped to make a small house, but it must be admitted that that the theater-going public prefers modern productions to the classic work of Shakespeare. But the audience that saw Macbeth was appreciative. Modjeska, despite her age, displays that ability which has made her career a part of the history of the modern stage. Of course, she is long past her prime, and her acting now is not to be criticized according to the high standard of her earlier work. To linger long before the footlights is the inclination and the mistake of the greatest of actresses, even of Bernhardt. When they are yet capable of exceptionally fine acting, they are not inferior to the ravages of time. Nobody was disappointed at last night's performance. That a woman of Modjeska's age should sustain herself is really wonderful. She is supported by a capable company. Mr. Charles D. Herman, as Macbeth giving a fine interpretation of the role. His work was one of the features. Some rather awkward stage management especially in the last act, marred the performance. The following appeared on 8 January 1907 in The Kansas City Star: The remainder of this week at the Willis Wood will have Florence Gear in the comedy, "The Marriage of Kitty," tonight only, and Mme. Modjeska in repertoire Thursday, Friday and Saturday nights. Mme. Modjeska is making a farewell tour. Thursday night she will be seen in "Macbeth," Friday night, "Mary Stuart," Saturday afternoon, "Camille," Charles D. Herman as her her leading man. The following appeared on 17 January 1907 in the Omaha Morning World-Herald: Tremendous vitality, conquering the march of many years' honorable service, characterized the artistic final of Modjeska upon the Omaha stage. She is crowned with a wreath of honor and respect which would have been deeply envied by the unfortunate queen she impersonatees, and the love of a knee-pants pupil for his worshiped "teacher" never excelled the great adoration and esteem showered upon this wonderful lady by last night's immense audience. . . . May she live a peaceful end to her great life and exist always in the hearts of those she has transported. Modjeska's smiling kindliness to her leading man, Charles D. Herman, was one of the features of the performance, and was well merited by the gentleman in question. Charles D. Herman has appeared here before in the role of Macbeth, but the masterly rendition he gave the part last night should live longer than memory. Thorough, virile and in every way competent was his work and aroused great admiration on the part of the audience. The rese of the company were fairly adequate. . . . The engagement was but for one night, which is a pity. It is a consolation to know that last night's audience was the biggest and most representative of the season, and so, with these many good people, we say--may Modjeska livel long and prosper. The following appeared on 9 November 1907 in The Boston Journal: James O'Neill, who is acknowledged to be the leading tragedian of the fine old school, will come to the Globe Theater next week with an attractive repertory that should satisfy to the utmost those playgoers who for a long time have been craving for a return of the great plays of yore. Mr. O'Neill will appear as Virginius in the famous play of the same name on Monday afternoon and evening and Thursday evening; on Tuesday and Saturday evenings and at the Wednesday matinee he will appear in "Monte Cristo." one of the dramas in which he has been justly celebrated for a good many years, and at the remaining performances he will give "Julius Caesar." Mr. O'Neill was in Forrest's company when that great actor was playing the title role. O'Neill played Icilius, and other big roles. The members of the company have been selected for their excellent work as students of the classic drama. The extra people in the street and mob scenes are specially trained and carried as regular members of the organization. The more prominent members of the casts include Messrs. Norman Hackett, Charles D. Herman, James O'Neill, Jr., Bart W. Wallace, Warren Conlan, Jerome Storm and the Misses Alice Fleming, Kate Fletcher and Edna Porter. Charles Herman Dexheimer appeared in the 1910 Philadelphia, Pennsylvania, City Directory at 5028 Newall, Germantown listed as Chas D. Herman, performer. The following appeared on June 1912 in the New York Dramatic Mirror: Charles Herman, of the Reliance, is one of the most popular of the actors in that company. He has been with the company now for nearly a year. Outside of that he has only played with one other motion picture company. It is doubtful if there is an actor in motion pictures to-day with a more splendid histrionic record that Mr. Herman. He began his stage career thirty years ago at Philadelphia in stock. After two years there he played leading roles with all the great actors of that time, including Madame Jauneschek (four seasons), Ward and James, which combination was termed "The Triumvirate" (nine years), Mantell, Nance O'Neill, Walker Whitside, and Savage productions. The following appeared on 13 October 1912 in The Seattle Sunday Times: "The Daughter of Heaven," which had its first performance on any stage yesterday at the Saturday matinee in the Century Theatre, is "Romeo and Juliet" with the scenes transferred to China. The title role to be played by Viola Allen, is the Empress of the Chinese, of the dynasty of Ming. Court and people are threatened by the Emperor of China of the Manchua race in the dynasty of Tain, played by Basil Gill. But aside from being the Daughter of Heaven, and the idol of the Mings, the Empress is a woman--and the Emperor who is at war with her, is a man. How the man and the woman meet and learn to love, forms a drama into which the authors seem to have poured their soul. In addition to Miss Allen and Mr. Gill the important characters are impersonated by Lee Baker, Bernard Fairfax, Claude Brooke, Clarissa Heritage, Maud Salvini, Henry Bergman and Charles D. Herman. The principal scenes show a room in the Emperor's palace gardens; the throne room; the pavilion of the Emperor; the battlements near Nanking and the great gate of Peking. Nearly 500 people are employed in this play. All that theatrical experience and human ingenuity could suggest has been adopted by Liebler & Co. in their production of this play. Charles Herman Dexheimer appeared as Enenkhet, Captain of the Prison, afterwards Steward to Joseph, in the Liebler Company's production of Louis N. Parker's "Joseph and His Brethren," on 11 January 1913 at the Century Theatre, New York City. Charles Herman Dexheimer died on 21 February 1916 at age 69 in New Brighton, Richmond County, Borough of Staten Island, New York, at the Actors Home, Brook Avenue. He was interred on 25 February 1916 at Evergreen Cemetery, Camden, Camden County, New Jersey. The following appeared on 23 February 1916 in The New York Times: [Died] In New York on Feb. 20, Charles D. Herman. Funeral and interment private. Philadelphia papers copy.